To eliminate the need for guests with General Admission (GA) Floor Tickets to stand in line for extended periods of time, we're rolling out the following process to improve our guests' experiences. The following policy only applies to those guests with GA Floor tickets who wish to line-up early so as to secure a favorable position on the floor. 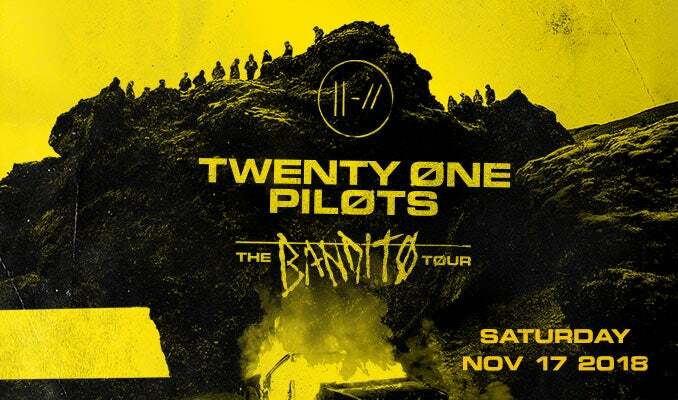 For guests with GA floor tickets that do not choose to arrive early and secure a position, floor wristbands will be provided upon entry into the Arena and validation of ticket. 1. Early Line-Up and wristbanding begins at 9:00am at Entrance 3. 2. Temporary Parking for those coming on-site to secure a wristband is available in the surrounding lots and parking garages. Parking Staff can direct you. 4. Provide the Taco Bell Arena staff at Entrance 3 with your verified GA Floor ticket. 5. Upon verification of the GA Floor ticket, a staff member will secure a numbered wristband to your LEFT wrist. 6. Once you have a numbered wristband, you may leave. NO need to wait on-site all day! 7. MAKE SURE TO ARRIVE BACK ON-SITE AT ENTRANCE 3 BEFORE 5PM. At 5PM, guests who have secured wristbands in advance will order themselves with assisstance from staff outside Entrance 3 starting with number 1. Guests with wristbands MUST be on-site at Entrance 3 to line up no later than 5:45PM as the lineup access will then close as staff prepare guests for entry. 8. When doors open, pre-numbered guests will be allowed entry first. Once pre-numbered guests are in the venue, entry will begin for remaining ticketed guests. * Guests arriving on-site within 1 hour before doors (who did not obtain a wristband earlier in the day) will be able to line-up at Entrance 3 and let in directly after pre-banded guests. Parking will be available starting at 5:30pm for $10.00 (cash) per space, based on availability in the parking lots located around Bronco Stadium and the Taco Bell Arena, as well as parking garages on campus. Designated parking is available for guests with accessible needs. Accessible parking will be available in the Arena Lot located on the corner of University Dr. and Bronco Circle for $10.00 while supplies last. Additional accessible parking will also be available in the Lincoln Garage off of Belmont Street and Lincoln for $10. These spaces are designated for vehicles displaying a current state-issued accessible placard or license plate. Entrances 1, 2 and 3 will be open for the show. Elevators are located inside Entrances 1 and 2. GUESTS WITH FLOOR TICKETS, MUST ENTER AT ENTRANCE 3. NO exceptions. Merchandise will be available for purchase inside the Arena in Lobbies 2, 3 and 4. All stands will accept Visa, MasterCard or cash. Ticket Info Tickets available online via ticketmaster.com, over the phone (208) 426-1766 OR in-person at the Taco Bell Arena Box Office. Doors open at 6pm day-of-show.